New technology could pull toxic metals out of contaminated water. When heavy rain hits New Caledonia, the rivers run red. Located about 1,200 kilometers east of Australia, New Caledonia has one of the world’s most extensive coral reef ecosystems, and about 10 percent of the world’s nickel. More than a century of strip mining and deforestation in the French Pacific territory has created some of the highest levels of soil erosion in the world. Rainforest cover has been reduced from 70 percent to 20 percent, and when it rains, water and earth run unimpeded off the hillsides into rivers and the sea, taking nickel and other toxic metals with them. Ultimately, these metals—mainly nickel, cobalt, iron, and chromium—end up in the food chain. Oysters that live near rivers that run past mining sites contain 20 times more nickel than those living near other rivers. Eels near the coast have higher concentrations of nickel and other metals than those farther out to sea. “The consequences of this kind of pollution are disastrous,” says Peggy Gunkel-Grillon, an environmental chemist from the University of New Caledonia. The toxic metals move up the food chain and accumulate in top predators, she says. But evidence about the toxicological effects of nickel on marine creatures and people is limited. “In New Caledonia, we are beginning to study the impact of metals on the environment—this is a new topic for the government and scientists,” says Yannick Dominique, an ecotoxicologist at New Caledonian consultancy Bioeko. Dominique is part of a new government project examining levels and sources of metal exposure in people in New Caledonia. In humans, research has linked exposure to nickel—often through smoking cigarettes or industry—to an increased prevalence of type 2 diabetes, and the World Health Organization classifies pure nickel as a carcinogen. Little is known, however, about the effect of consuming water and foods that are high in nickel. Thinking about the threat of nickel runoff, Gunkel-Grillon and her colleagues wondered if something could be done. In marine industries, artificial rock-like formations are created around structures such as wind turbines and offshore oil platforms to protect them from erosion. These barriers are created from calcium-based materials in the seawater that are attracted to and build up around electrically charged metal structures. The researchers wondered if this process could be pushed a step further. That is, if electrically charged metals can attract calcium-based materials, could calcium-based formations attract heavy metal pollutants? In laboratory experiments, Gunkel-Grillon is working with Marc Jeannin, an engineer from France’s Université de La Rochelle, to develop a method to extract nickel from the seawater off New Caledonia. 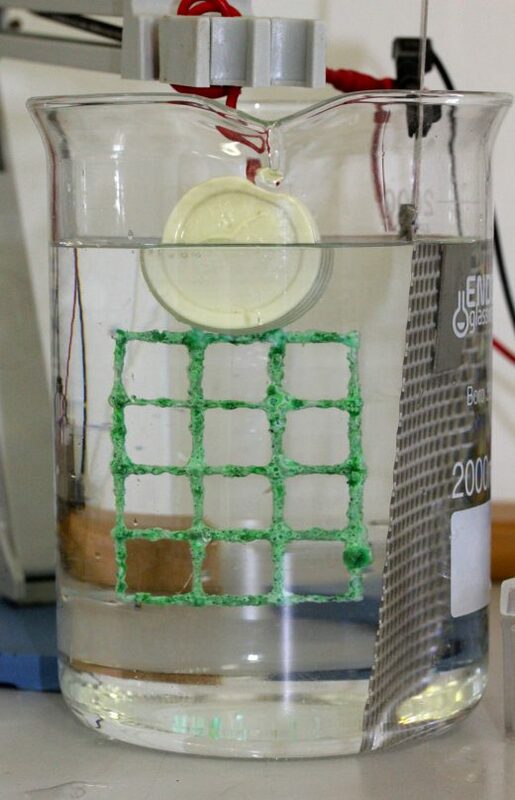 By placing galvanized steel in seawater, and charging it with a weak electrical current, the researchers have shown that they can pull metal ions out of the solution, trapping them in calcified deposits that grow on the steel electrode. In a proof-of-concept laboratory test, the scientists dipped small pieces of electrified steel into seawater spiked with nickel. After seven days, they found that up to 24 percent of the nickel added to the water was trapped. But the real challenge, says Gunkel-Grillon, is to see if their technique will translate to real-world conditions. This next step is already underway in a New Caledonian lagoon. In late March, the scientists placed a larger-scale experiment in Numbo Bay, which is the industrial zone of the capital city, Nouméa. If these experiments work, the scientists envision an even larger, permanent structure of galvanized electrodes that sit vertically in the water. “By placing our device at the mouths of rivers, effluents, ports, or any other places where such pollution can occur, we will be able to limit the contamination of dissolved nickel,” says Gunkel-Grillon. The local electrical grid powers the New Caledonian experiment, but it should be possible to run such a setup with wind turbines or solar panels in the future. Metal contamination in the marine environment is a problem the world over, and this solution holds great promise. The team has also used the technique to trap lead, and Jeannin says he sees no reason why it can’t work for other metallic elements as well. Géocorail has patented a different version of a metal-trapping electrode, which is being tested in a couple of French harbors. By next spring, the results from the New Caledonian field test will be in, and the scientists should know whether this technique can help with toxic metal pollution. “When we obtain the deposits from the seawater, we will be able to check what metallic elements have been trapped, including all the metal pollutants that are present in the New Caledonia lagoon,” says Jeannin. Michael Allen is a freelance science journalist and editor based in Somerset in the UK. 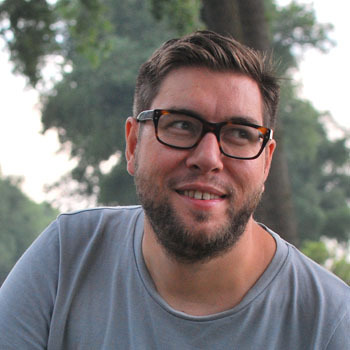 Although he has a zoology degree, over the last few years he has found himself tackling stories covering a breadth of subjects, such as sonic tractor beams, composting toilets, snakebites, and suspected Russian spies. He regularly contributes to specialist publications based in the UK and elsewhere. Cite this Article: Michael Allen “Detoxing the Ocean,” Hakai Magazine, Apr 26, 2017, accessed April 26th, 2019, https://www.hakaimagazine.com/news/detoxing-ocean/. At least one million tonnes of chemical weapons were dumped in the oceans between 1919 and 1980. Now what?